There’s a video online that reveals the truth about Keller Williams Realtor Jennifer Regan. After a mild protest, Regan stops the car, steps out of the vehicle and starts dancing. It’s not an awkward dance, either. If she were on “America’s Got Talent,” Howie Mandel would tell her she has moves. Regan, 44, posted the video on her Facebook page during the “In My Feelings” viral video craze that swept across the internet like wildfire in August – the same page on which she shares information about her real estate business. The truth the video reveals is that the real Regan isn’t buried beneath a suit and a smile – she’s out there on the road, dancing for everyone to see. “People don’t want real estate shoved down their throats. 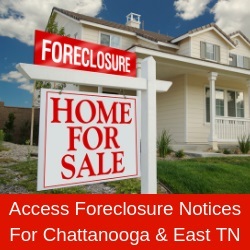 So, on my social media pages, I strike a balance between, ‘Here’s what you need to know about real estate,’ and ‘The Chattanooga Market is having their big barbecue bash!’” she says, turning a cup of gas station coffee with her right hand as she sits at a table at the office. If Regan has a secret, it’s that “being real” has served her business well. She even picked up a client as a result of the dance video. “One of the lenders I work with saw the video, forwarded it to somebody she was qualifying to buy a home, and wrote, ‘Here’s the Realtor I want you to work with,” Regan laughs. Regan’s social media antics have her laughing all the way to the bank. Her Instagram page contains a photograph of her wearing a giant animal head at a local Target. Her daughter, 13-year-old Macy (owner of the voice that eggs on Regan in the dance video), took the picture during a shopping trip last year. When a Frisco, Texas, couple relocating to Chattanooga saw the photograph while searching for an agent online, they knew they had found their Realtor. “They took a screenshot of the picture and sent it to me in a message that said, ‘This is what convinced us to use you. We can tell you love Chattanooga, and we love your energy,’” Regan recalls. Networking has been the key that’s unlocked a lot of business for Regan. But the energetic 44-year-old doesn’t limit herself to Facebook; she also pencils in face-to-face time with people in the community. Regan serves as her chapter’s education coordinator, which means she’s responsible for giving a brief, informative talk every Wednesday morning during the group’s weekly meeting. She recently spoke on what professionals can do to maintain their business relationships – a topic near and dear to every Realtor’s heart. Through BNI, Regan has gotten to know professionals who own a variety of businesses that can serve her clients, including a lender, an insurance salesman, a financial advisor, a plumber, the owner of a HVAC service and more. Unlike her social media marketing efforts, Regan does not expect her investment in these relationships to pay off in leads. Rather, she merely likes having a list of service providers she can confidently recommend to her clients. Regan also avoids the hard-sell after a buyer or seller becomes a client. Instead she focuses on educating them and meeting their needs. Regan’s soft-sell is paying handsome dividends in the form of referrals. When she started in the real estate business in 2015, she worked hard to acquire leads. This year, 90 percent of Regan’s business has been referral-based. Regan’s current stint as a Realtor might have started in 2015, but this is the second time she’s earned her real estate license. After growing up in the Chattanooga area, graduating from Hixson High School in 1992 (“a long time ago,” she says) and earning an accounting degree at Alabama, Regan was lured to real estate by what she perceived to be the romance of selling houses. Regan’s fell back on her college degree, working locally for a medical accounting business and then doing similar work for a bicycle company. She also married, which eventually opened a new door: working as a stay-at-home mother. Although a piece of her was empty, Regan remained a stay-at-home mom throughout Macy’s elementary school years. When she decided to return to work, there was no question in her mind about what she was going to do: she was going to become a Realtor. Regan gravitated toward Keller Williams Realty Chattanooga as she took a few of the classes the company offered and spoke with agents who worked there. Attracted to the strength of the brand, the training the company offered and the resources it provided, Regan made the leap to Keller Williams in 2016. While Regan has embraced much of what Keller Williams offers her, one aspect of the company’s model doesn’t appeal to her: the drive to build a team. Although many of her colleagues at the company have built successful teams and groups, Regan prefers to work alone and keep her business at a level that’s manageable for her. “I never want to be a part of a team,” Regan says. “First, you hire an administrative assistant, then you hire a buyer’s agent and eventually you become the rain maker – the listing agent that feeds all your buyers – and you add and add and add. “I don’t ever want to do that. I don’t want to be stretched too thin, or get to the point where I’m not giving a client all of my attention,” Regan adds. “If I’m juggling a dozen balls, I’m going to drop one or two of them, and I don’t ever want to do that. Regan also wants to ensure she has ample time each day to spend with her daughter, as she’s now a single mother. A quick scroll down Regan’s Facebook page, which contains videos of her and Macy singing in the car, hiking and sliding down Cardboard Hill at Renaissance Park, reveals the close, loving and fun nature of their relationship. The beaming mother-daughter selfies on the page might give one the impression that single-motherhood has been easy for Regan, but that would be wrong. Regan says her daughter has seen her experience great successes and epic failures. The important thing, she adds, is how she chooses to deal with the latter. Casual observers might assume Regan is made of pure energy. Although she’s been sitting calmly for nearly an hour, her voice is lively and brisk and her face is full of life. It’s not the gas station coffee, either; it’s who she is. Fortunately, Regan has several outlets for all that fuel – the great outdoors. In addition to riding a bike, rock climbing and paddling, she’s an avid runner. She doesn’t just run for the sheer thrill of it, either, but frequently competes in Chattanooga Track Club races and other regional events. Regan is training for the Ironman 70.3 Chattanooga in May. To her surprise, it’s been a humbling experience. “I thought I was in good shape. I lift weights two or three days a week, I run three or four days a week, and I try to ride my bike a couple days a week,” she says. “But I’ve been stuck in a routine, so my coach has forced me to move in different ways, do different drills and wake up what he calls my ‘fast twitch’ muscles. Regan will also consider herself fortunate if she’s able to work in real estate for the rest of her days. She not only loves her daughter, her city, her clients and the great outdoors, she loves where she’s planted herself professionally.